Is reverse mortgage a good choice for paying off some bills and for improving our home? I am considering a reverse mortgage to pay off some bills and improve our home. My husband and I are 62, no children, want to stay in current home, needs improvements done but do not want a large payment each month. I understand you can pay the interest each month on some reverse mortgage loans. Yet I am not totally sold on it. I don't know anyone who has gotten one to find out if they are happy they did it. Do you have any thoughts? Find out how you can qualify for a reverse mortgage. Understand that a reverse mortgage reduces the equity you have in your home. Consider all the benefits and consequences of getting a reverse mortgage. We are receiving an increasing number of questions on reverse mortgages because they are a good option for many homeowners who have owned their homes for a long time. I will address your specific question first, and then discuss reverse mortgages in general to help you understand the benefits, consequences, risks, and rules for a reverse mortgage. You may be in a good position to take advantage of a reverse mortgage if you have the available equity in your home. You mentioned you are age 62. At 62, you will need at least 50% equity -- meaning that any existing mortgage balances on your home cannot be more than half of your current property value. You mentioned you want to avoid making payments, you have a need and use for the cash and you want to stay in your home. You are also helped by the fact that you do not have immediate heirs to consider, though keep in mind, you will be reducing the value of the asset (your home's equity) that you may be able to pass along. Additionally, since you are right at the low end of the age eligibility, lenders will be more restrictive in the size of the loan that they will qualify you for. 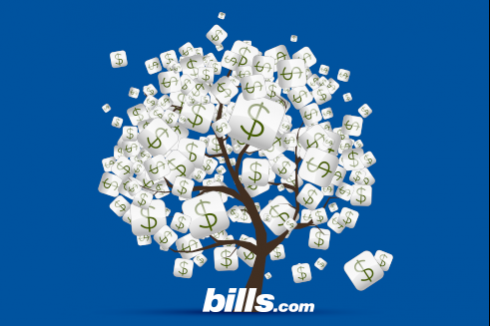 As a next step, complete the Bills.com quick reverse mortgage form and find some of the best lenders in the business, who will be screened based on your specific situation. With the increasing number of reverse mortgage questions we are receiving, we have also taken the opportunity to expand on this response and provide more information on reverse mortgages, eligibility for reverse mortgages, what else to consider and how to determine if it is right for you. A reverse mortgage is a unique mortgage because they are no payments required from the borrower. Instead the homeowner receives cash from the lender and in turn, the lender receives a portion of the homeowner's equity. A reverse mortgage loan is designed to give older homeowners the ability to receive tax-free income without having to make mortgage payments, sell their home or affect their hold on their title. For older homeowners (must be 62 years or older to qualify) a reverse mortgage can be the right way to receive either extra income or security in retirement. The loan is repaid when the borrower ceases to live in the home; this can be a result of the homeowner selling the home, moving out (and it is no longer their primary residence), or passing away. In any of these cases, the lender receives the proceeds of the sale of the home to pay off the balance of the reverse mortgage loan. If the proceeds of the sale exceed the outstanding loan balance, the difference is paid back to the borrower or to their estate. Another unique aspect of the reverse mortgage is the counseling required for all prospective borrowers considering a reverse mortgage loan. All lenders are required by law to provide this counseling to insure that the homeowner is aware of all the terms and conditions of the loan, and that they and their support group has closely considered whether or not a reverse mortgage loan is right for them. Reverse mortgages can be taken either as a line of credit or as a lump sum. There are actually more options to consider, but your reverse mortgage lender will be able to talk you through all of these options. As a prospective borrower, you should first consider how you will use the proceeds and whether it makes sense to receive the cash over time or all at once. The reverse mortgage industry is heavily supported by HUD (US Department of Housing and Urban Development) and the heavy majority of reverse mortgage loans are insured by HUD's Federal Housing Administration (FHA). The FHA product, called the Home Equity Conversion Mortgage, or HECM, is the dominant product in the market and the support that the FHA provided to the reverse mortgage market is another benefit for potential borrowers. The FHA provides heavy oversight and regulation, and the absence of private reverse mortgage products has kept the costs and overall expense of reverse mortgages in reasonable check. However, fees on a reverse mortgage are generally higher than traditional mortgages, and therefore, you want to make sure that you will be in your home for at least a few years to avoid throwing away money on a loan on which you will never realize the benefits. Reverse mortgages are available to homeowners 62 years old or older. Neither income nor credit history is considered by lenders in determining who qualifies, which is another big benefit of a reverse mortgage. Since no payments are required by the borrower, the ability to pay back the loan does not matter. Rather, the most important qualification criteria for a lender are the age of the homeowner, the value of the home and the amount of available equity in the home. For many older homeowners who have lived in their home for a long time and have been responsible with their debt and refinancing, there is enough equity in the home to make a reverse mortgage a very attractive option. Most property types are eligible, though some cooperatives are not -- most importantly, you can only get one on your primary residence. Right situation, right loan. If you are eligible for a reverse mortgage loan (see above) and you have a near-term or even, longer-term "need" for the cash, then a reverse mortgage will likely make sense. However, read this entire response, and review the other reverse mortgage-related pages on Bills.com, and make sure that you consider all the benefits, consequences, risks, and rules before signing your loan. You will never need to leave your home once you get a reverse mortgage, unless you choose to do so. Even if you "out live" your loan, the lender will not be able to take the home or force you to leave. One very important consideration for prospective reverse mortgage borrowers is by taking out a reverse mortgage, you will be using up part or all of an asset, that might otherwise be left to children or other heirs. Since the interest that you will incur on the loan is actually added to the balance of the reverse mortgage against your property, your equity is usually eroding (unless the value of the home is increasing at a rapid rate), and there will be less equity available when the lender actually sells the property. Older homeowners who are very concerned with leaving their home to their children or other heirs will want to take a long look at these implications before moving forward with a reverse mortgage. If you have a traditional mortgage, and you are eligible for a reverse mortgage, the proceeds of the reverse mortgage will first be used to pay off that balance. So make sure this is included in your calculation for how much cash you will receive -- your cash will be reduced by the amount of the existing mortgage, as the lender will be required to pay that loan off prior to dispersing any other cash. Another consideration for potential reverse mortgage borrowers is to be cautious about from whom they get reverse mortgage advice, and ultimately which lender they choose. Although much has been done with federal laws in the last five years to prevent fraud and other abuses against older homeowners through reverse mortgages, there still remains a risk and potential borrowers need to be thorough in their research and confident in their decisions. A reverse mortgage can be the right loan for many homeowners, but it is not suitable for all. And remember, the proceeds of your reverse mortgage do not need to be used in any particular way -- as the borrower, they are yours and yours alone, to be used for home improvements, to pay bills, to invest, or to use for a vacation. We advise you to be prudent in how you use the proceeds of your loan. My parents have had an adjustable rate HECM Reverse Mortgage for several years and are now having to pull out the last of the remaining available net principal on the RM because they are having to vacate the home due to needed medical attention in a medical facility. They will no longer be occupying the home. Can they just sign the home over to the bank that holds the RM or do we have to sell their home and then pay the bank back that way? "Signing the home over to the bank" is not a good idea unless the balance of the reverse mortgage is greater than the market value of the property. I will make up hypothetical numbers here for the sake of argument. If the reverse mortgage balance is $80,000 and the market value of the property is $100,000, then by all means the homeowner should sell the property on their own and pocket the $20,000 (less the sale expenses). In this situation, if the homeowner does nothing, then the reverse mortgage holder will foreclose and sell the property at auction or REO. REO or auction sales are 25 to 33% less than market prices, which in our hypothetical case would result in a $66,000 to $75,000 sale price, less the cost of sale. The question becomes, if the market value of the property is greater than the balance of the loan, does the homeowner want that money or not? On the other hand, if the market value of the property is less than the balance of the reverse mortgage, then the homeowner might as well sign the title over to the reverse mortgage holder.